The final page of Vanity Fair magazine is always the first place I go when my new issue arrives – the page where my favorite Proust Questionnaire asks prominent people to answer timeless questions first posed by Proust, the famous 19th century author. His questions are probing, brief, and compelling, still, more than a century later. You almost cannot read them through without taking time to compose your own answer. 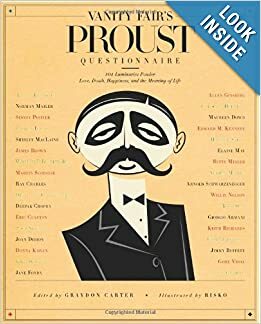 The editor of Vanity Fair, Graydon Carter, has written a compilation of some of the more sensational entries , available on www.Amazon.com and the authentic Proust family has a website www.proust.com that will assist you in compiling a family chronicle based upon the questions and answers given by all your family members. The questionnaire has become a means for truly knowing a person; revealing the character and even the motivation behind people’s personalities. Without using the exact words of Proust, which I am certain are copyrighted, I would like to ask you a couple questions that will give you the flavor of the game – because, in its time, it did become a parlor game, to go around the room so that people could take turns and thoughtfully answer them. We played this a couple years ago at a dinner party in my home, with about four married couples present, and me too, about a year after I had lost my husband. The process was hilarious, at times profound, occasionally sad and yet always fascinating. There were some moments of dead silence, everyone kind of sucking for air, stunned at an answer. As well as satisfying the curiosity of everyone else, you can be sure that many people surprised even themselves with the answers that sometimes came flying out of their mouths like flapping red ribbons of honesty. Shock & Awe. Blush. Gulp. It gets more risky after a couple of adult beverages. So here we go – now keep in mind these are my own take-offs on his famous questions, and I am no Proust. And what do you like about yourself? Who is the person you care most about? Is there anyone you wish dead? What will you always regret? These few inquiries are about half the number usually found on the final page of Vanity Fair – but I will leave it at that. If you answer these honestly you will probably either love this exercise or hate it. I do believe that age factors into your answers. Younger people will have a younger perspective. Older folks might be less conservative than you might believe, hanging it all out there for everyone to hear. Age often comes with a what the hell attitude. Ouch. But in any case I do find the game intriguing, and of course you can think of some great questions of your own. What? Me? What are my answers? They vary on any given day. I am a constantly changing, fickle, second-guessing, never sure, hard to define kind of person. Actually, on second thought, about all the important things in life, NO I AM NOT. My basic core remains unchanged over time. Some of those questions would have answers that have never changed for me. The questions I can be creative about would probably never be answered the same way twice. Because if there is one steady thing about me it is that I am creative. 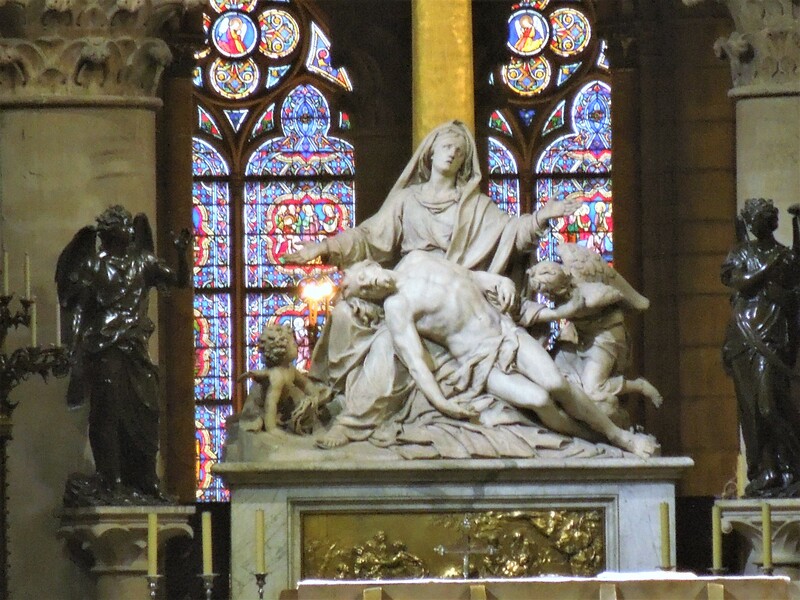 What I do with it goes racing from one end of the scale to the other but it is a given, written in stone. One component of that creative nature is that I question myself 24/7. This entry was posted in creativity, door to our minds, illumination, Uncategorized and tagged 19th centuryparlor game, creative questioning, Proust questionnaire. Bookmark the permalink. Great post! I am going to have to check out the Proust site! I really loved this post! I tried so hard to answer the questions but also found myself thinking, “Wait a minute, I think I would have answered that differently yesterday!” Great writing, great subject!